President Trump’s order closing the nation’s borders to people from seven predominantly Muslim countries echoed across Boston’s academic institutions and research laboratories Saturday, blocking some scholars from entering the country and leaving scores more in limbo. The directive, which also halts refugees worldwide from entering the United States for 120 days, prompted leaders at schools such as the Massachusetts Institute of Technology and Northeastern University to offer support to students and academics whose lives might be upended by the order. The full extent of the upheaval triggered by the new rules wasn’t immediately clear, and a federal judge’s decision late Saturday night to halt deportations of refugees and those with valid visas added a layer of uncertainty. But research groups at Harvard Medical School and Brigham and Women’s Hospital were among those who lost incoming scholars to the travel ban. Late Saturday at the John Joseph Moakley United States Courthouse, immigration lawyers and the American Civil Liberties Union of Massachusetts filed a suit on behalf of two associate professors from the University of Massachusetts Dartmouth who are Iranian nationals. According to the suit, Mazdak Pourabdollah Tootkaboni and Arghavan Louhghalam had been detained at Logan International Airport for three hours that evening under Trump’s immigration order. Attorney Susan Church, who leads the New England chapter of the American Immigration Lawyers Association, said the professors have since been released but the lawyers remained in court as midnight neared to try to ask a judge to issue an injunction to prevent US Customs and Border Protection from detaining or expelling someone from the United States based on Trump’s order. A White House petition was also launched on behalf of an MIT student who was blocked from returning to Boston from Iran, where she spent winter break at home. A Northeastern spokesman said the new rules potentially affect more than 200 people at the university, most of whom are already on campus. Other schools didn’t provide tallies. The order went into effect Friday night and affects travelers from Iran, Iraq, Libya, Somalia, Sudan, Syria, and Yemen, including green card holders. US Customs and Border Protection officials didn’t respond to messages, but a spreadsheet created by an MIT professor to track those affected nationwide had 120 to 130 entries by Saturday afternoon. Most were Iranian nationals and included people who hold green cards, immigrant and nonimmigrant visas, and dual citizenships. “It’s extremely frustrating. It is disrupting people’s lives,” said Hazhir Rahmandad, the MIT professor who created the spreadsheet and shared it on social media. “We have PhD students who are in trouble. We have a lot of graduate applicants that we might not be able to get. We have colleagues who are stranded. Some people we might be recruiting for our faculty positions might consider the US to be untenable,” said Rahmandad, who was born in Iran and naturalized as a US citizen in 2010. He said his parents, who hold green cards, had planned a visit from Iran to celebrate birthdays for their grandchildren, twins who are turning 2. Among others whose plans were disrupted was Seyed Soheil Saeedi Saravi, a scientist from Iran, who was planning to come to Boston with his wife to work at a research laboratory specializing in cardiovascular disease at Brigham and Women’s Hospital. Now his visa has been suspended for three months. Dr. Thomas Michel, a cardiologist who hired Saravi to work in his lab, got the news Friday. He said the travel ban is jeopardizing the country’s position in the scientific community. Samira Asgari of Iran was blocked from coming into the country. 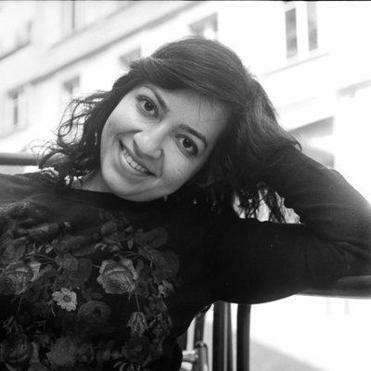 Samira Asgari, an Iranian who holds a doctorate from the École Polytechnique Fédérale de Lausanne in Switzerland, was traveling to Boston to begin working on a tuberculosis project at a Harvard Medical School laboratory — but she and her boyfriend were turned away at the Frankfurt airport. Asgari was granted a J-1 Visa to work in the United States, Raychaudhuri said. She was also awarded two years of research funding from the Swiss National Science Foundation. Healey called Trump’s order unconstitutional, saying his actions violated the rights of immigrants who have already been vetted and have a legal right to return to the United States. Church said the restriction on green card holders is especially onerous because those people have already gone through extensive interviews and background checks. People who enter through the US Refugee Resettlement Program are processed at six airports in places such as New York, Chicago, and Los Angeles, but not in Boston, she said. Northeastern’s president, Joseph E. Aoun, and several other school officials sent an e-mail to members of the university community saying they should feel safe there. “We, the leadership of the university, stand with you and will pursue every means available to safeguard each of you — students, faculty, and staff,” the e-mail said. Dean Cavaretta, the former state director of the Trump campaign, said the executive order is not intended to rid the country of students and other people who have positively contributed to the economy. He hopes Massachusetts residents will “take a breath” and give the Trump administration time to create a process for allowing legal residents while keeping the country safe. “I recognize the disruption and inconvenience this is going to cause especially for a multicultural and highly academic state like Massachusetts,” he said. At Boston University, neuroscience major Raya Bidshahri, 21, said the travel ban means her parents won’t be able to come from Iran for her graduation in the spring. Bidshahri was born in Iran, but her family has a permanent residence in Dubai. She said her parents worked tirelessly so she could attend school in the United States. “They’re devastated that this has taken such a turn,” said Bidshahri, who plans to move to Canada after graduation to establish an education business with others. His cousin, a legal resident who lives in Watertown, traveled to Syria in November to take care of his sick mother. He is supposed to return in February, but his family is worried he’ll be stopped at the airport. “I happen to be a veteran, and this is not the country that I fought for,” he said. WATCH: The scene at the Logan Airport protest. Material from the Associated Press was used in this report. Globe correspondent Felicia Gans and Laura Krantz of the Globe staff contributed to this report. Laura Crimaldi can be reached at laura.crimaldi@globe.com. Follow her on Twitter @lauracrimaldi. Evan Allen can be reached at evan.allen@globe.com. Follow her on Twitter@evanmallen. Maria Sacchetti can be reached at msacchetti@ globe.com. Follow her on Twitter @mariasacchetti.